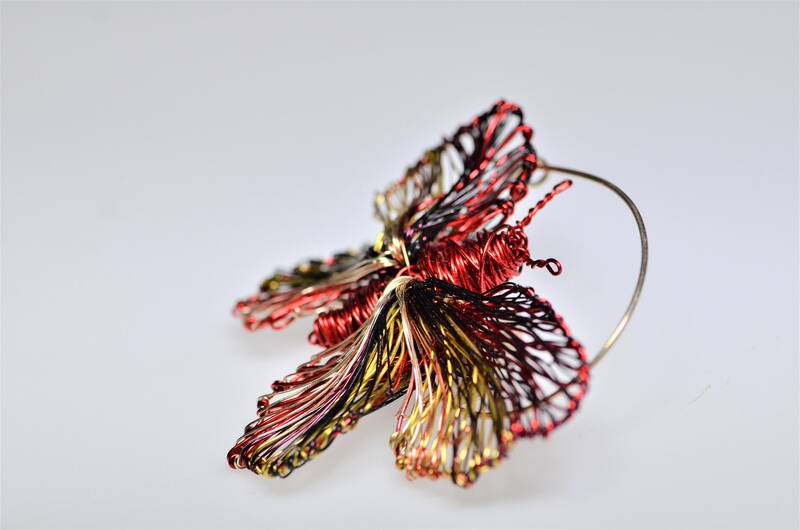 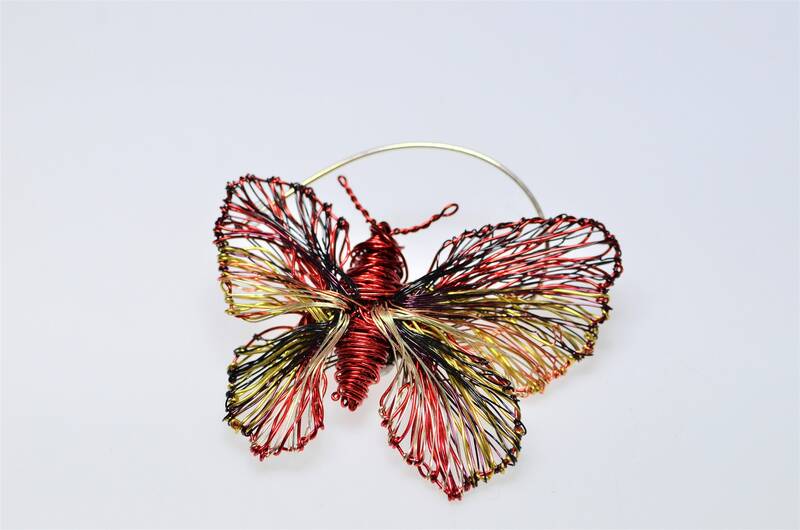 Red butterfly brooch, handmade of colored copper wire and solid silver. 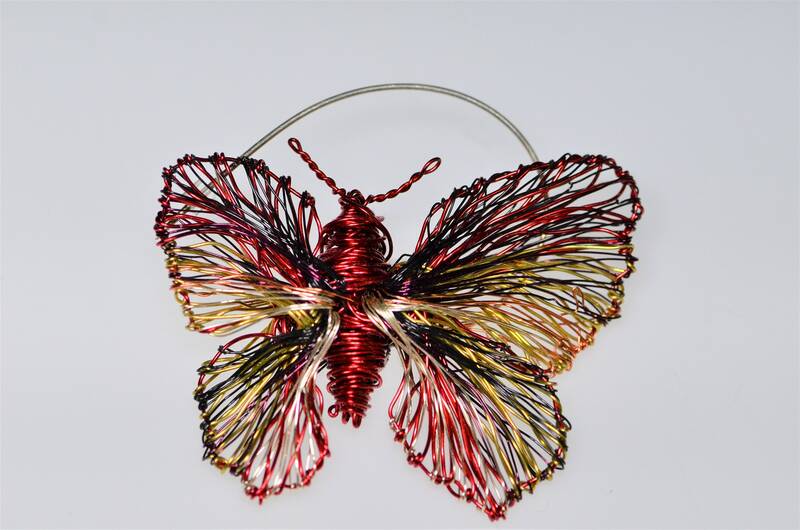 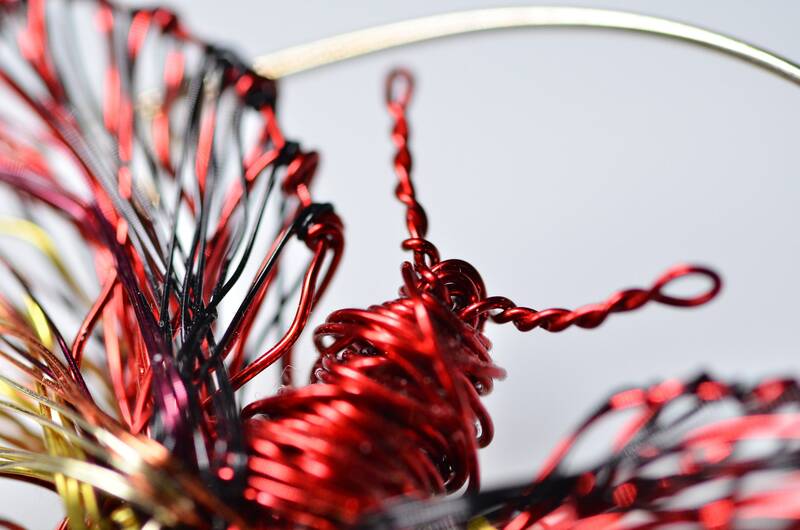 The height of the wire sculpture, a large butterfly is 5cm (1.97in). 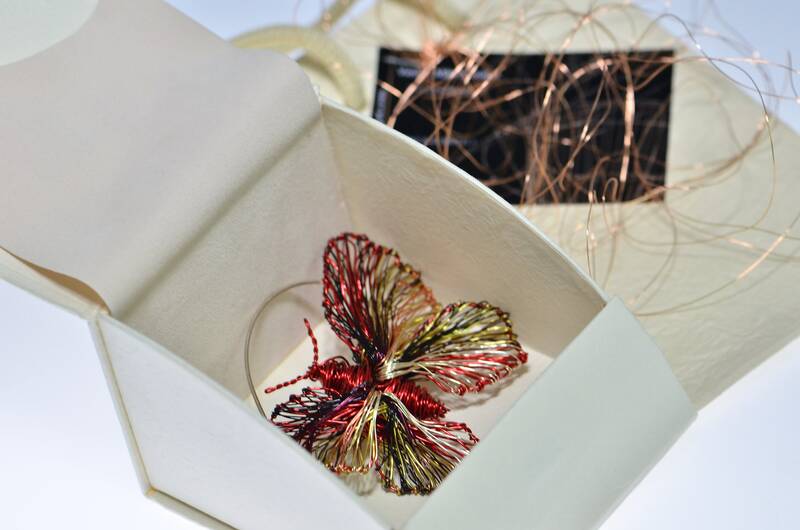 The width is 6.5cm (2.56in).